Every year Mas Dominik is at the proverbial crossroads. It could either slip into oblivion or stride on its way to become a major festival on the region's tourism calendar. This year is no exception. Speaking to The Sun just before the 2013 opening of Carnival parade of bands and individuals through the streets of Roseau which heralds the beginning of the Pre-Lenten festivities, one of the organizers says the problem with Carnival is all about money and planning. "It is now time for the stake holders to come together to plan carnival six to eight months in advance. We are in a challenging situation in the world and it's time to rally. We need cash flow to stage any event…and here's a chance for all to come together in a symposium to decide where carnival in Dominica going in the next 5-10 years," said Natalie Clarke, the events director of the Dominica Festival Commission . Clarke believes the strength of Dominica's carnival is that it is still the "original mas" and the elements of it remain. A sample of it was scheduled to be on display last Saturday. For Carnival 2013, she said, the National Bank of Dominica has taken on "youth mas" in a big way and that will be evident by the huge improvements on the Carnival Monday Parade. "We need to make an effort to grow what we have and so we need to go to the schools and get the young ones to participate to create your own domain or else we will lose our own culture," she said. Nevertheless, Clarke is warning against moving the date of carnival from the pre-Lenten period and also competing with Trinidad's carnival. "Don't compete with Trinidad; create your own unique show so people can come to it. We can't compete with them. 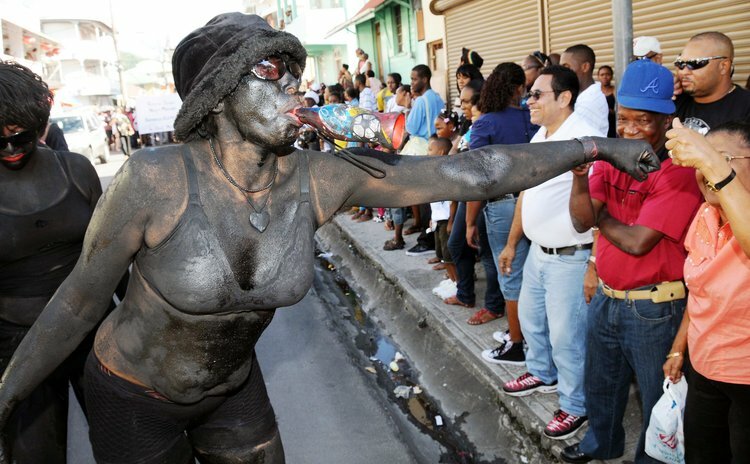 Carnival in Dominica is stepped in tradition," she said. "We can't afford to move Carnival's date…we don't have the money and we need to keep our original mas and let it grow through the school system and make things more attractive for the volunteers and the sponsors. We just need to strengthen our networking, work together as a team and stop pulling here and there since this is a national event and we all need to just come together as one to keep it and protect what we have." Another major event is the Miss Dominica pageant and Clarke praised the commitment of the young ladies who intend to participate in the 2013 Queen Show. "They are doing fine and all of them have been able to get full or part sponsorship and I am very pleased about that. They are committed and we expect a very good show from them on the night of the competition," Clarke stated. Meantime, the calypso semifinals will be staged on January 26, when 20 performers will compete to be among the nine to meet King Dice on the evening of February 9, 2013. The list for the semifinals includes three newcomers in Electra, Rachel and Shadow Flow. The others are: Ghetto Prince, Ras Kelly, Checker, Black Diamond, Explosion, Soul Puss, Jamma B, Daddy Chess, Daryl Bobb, Karresah, Lady Star, Sye, Beno, Webb, Scrunter, Hunter and Deros.